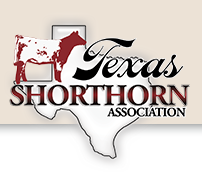 Membership in The Texas Shorthorn Association gives you the opportunity to interact with fellow Shorthorn breeders and increase your marketing exposure for your cattle. We have two levels of membership: junior and adult membership. 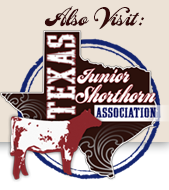 — Junior members are young people up to 21 years of age who have an interest in the Shorthorn breed. Many of these young people show Shorhtorn cattle at junior shows throughout Texas. The highlight event of our association is our annual TJSA Preview Show which is held each summer in rotating locations throughout the state of Texas. The 3 day event is open to all TJSA members and includes a Shorthorn heifer show, Shorthorn steer show, Shorthorn Plus show, showmanship contest, leadership contests, and lots of fun social activities. — Adult membership is open to persons of all ages interested in breeding, raising, or promoting Shorthorn cattle. 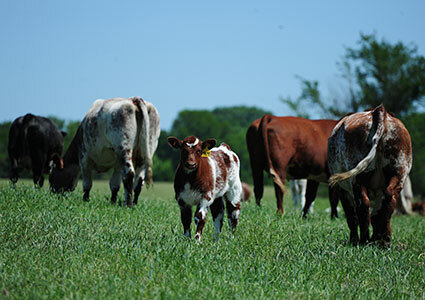 Many of our members are Shorthorn breeders throughout Texas. These Shorthorn breeders enjoy the opportunity to work together to promote the breed and increase marketing opportunities for their herd.